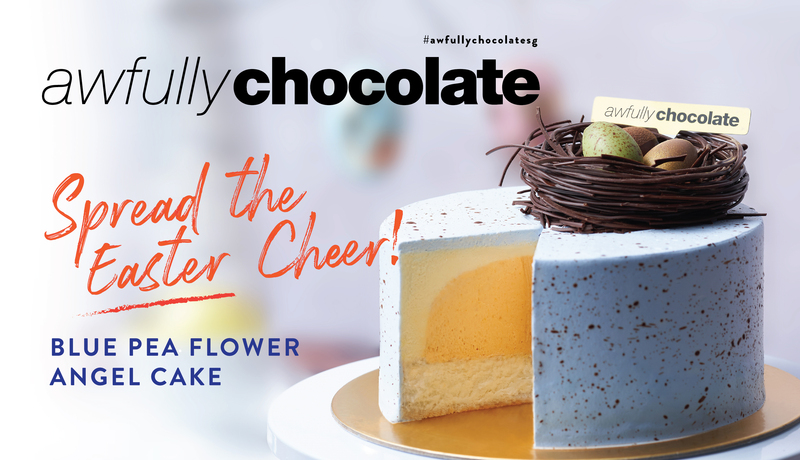 Celebrate Easter with Awfully Chocolate’s new Blue Pea Flower Angle Cake - inspired by the Easter Egg! Featuring tangy orange curd "yolk" center, in velvety white chocolate cream cheese mousse, draped in beautiful blue pea flower cream "shell." Completed with handmade chocolate nest, this unexpectedly indulgent cake is a beautiful centerpiece at any celebration! Pre-order is required. While stocks last.